Shoji Seki Shihan was interviewed in September 2011, during the seminar organized by the South American Aikido Confederation, Brazil. This translation was done by Anne Marie Crisanto-Ruschel, instructor and student at Senshin Dojo – Campinas, Brazil. 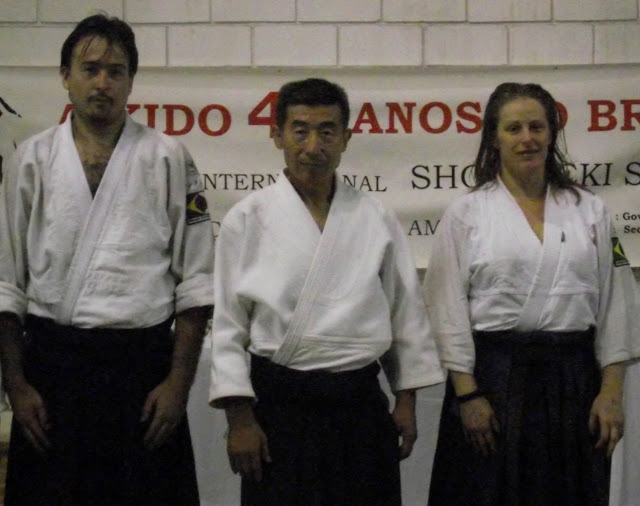 Special thanks to Anne Marie for helping us translate this interview into English; now we can share Seki Shihan’s views and thoughts with more individuals from the Aikido community. Sensei what compelled you to train Aikido? I saw an Aikido demonstration while I was at the university. It was the university group that gave this demonstration (*) aikido-bu-no. That is where my interest came from. Could you tell us something about the time when you were an uchi deshi? There was nothing special or uncommon about it, only that we trained all day. 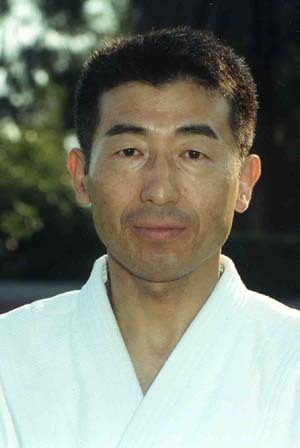 Sensei, which Aikido instructors influenced your practice the most? Once at Hombu Dojo, I was greatly influenced by the second Doshu, Kisshomaru Ueshiba and Osawa father, Kisaburo Osawa Sensei. As a second dan you already started to teach at Hombu Dojo. From then on until now, how do you feel about the practice? Have you noticed any major changes in the Aikido practice today? I am not consciously aware of what changed, but I believe, that with time and practice it must have slowly changed. What do you consider to be the most important factor of an uchi deshi’s practice? What is Hombu Dojo’s role in the development of Aikido worldwide? Is there anything specific you emphasize on in your seminars? I try to demonstrate what I consider to be important. I try to offer what I think to be the best for all of us. Generally speaking, what do you consider to be the most important part of Aikido practice? To be diligent and conscientious in one’s practice and regard Aikido as something valuable and important. During the seminars you have performed around the world, which would be the major differences between the eastern and western practitioners, or if this difference exists? What does Budo mean to you? Talking about nature’s principles, people mention ki a lot and energy flow. Could you give us an insight regarding ki and energy flow during Aikido practice? I have no consciousness about ki or energy flow. I have never had this awareness nor perception. Otherwise, I have always believed that one learns something training eagerly. How do you see the development of the practitioners here in Brazil since your first visit 7 years ago? I can see that people are training intensely here. That is good, to be working with dedication and making an effort in practice. As I said before, one has to give importance and value to Aikido and train in a devoted manner, in that way everyone will continue to evolve and have “good” Aikido.